In Dust / In Us is a visual exploration of the chemistry between two forces that is equally attractive and destructive. Months of tests and experimentation resulted in a detailed choreography in which every movement is triggered by the music. Every shot was composed in a fish tank, with rice paper, string, condensed milk and food colouring being the only props. Rogier placed a series of mirrors into the tank, producing groups of objects whose movements seem to be perfectly synchronized. 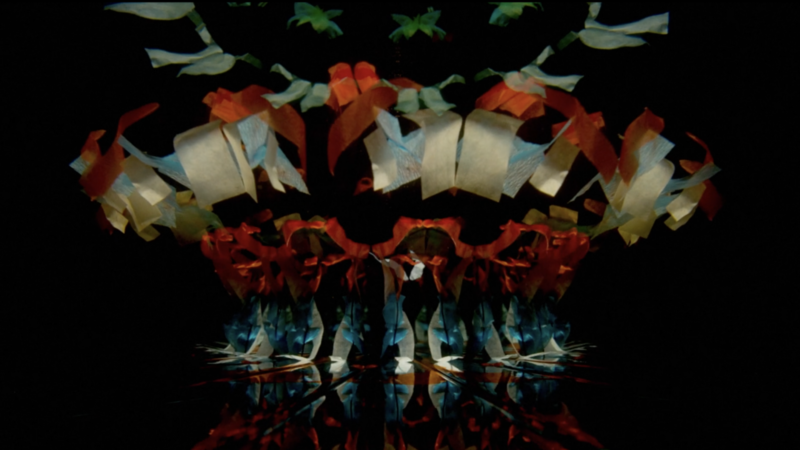 This effect expanded the individual visual compositions into a seamless dance performance.